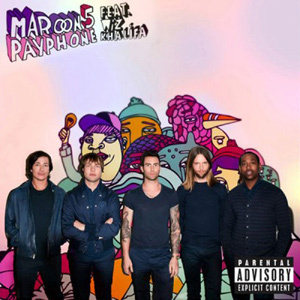 Maroon 5 is an American pop rock band from Los Angeles, California. The group originally formed in 1994 as Kara's Flowers while they were still attending high school. 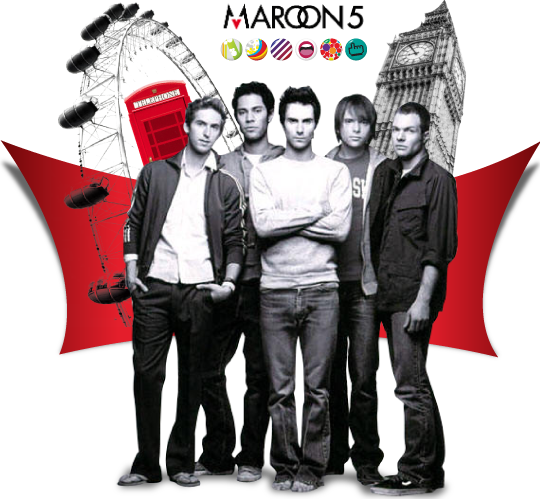 With a line-up of Adam Levine, Jesse Carmichael, Mickey Madden and Ryan Dusick, they signed to Reprise Records and released an album, The Fourth World, in 1997. After a tepid response to the album, the band parted with their record label and attended college. In 2001, the band regrouped and added James Valentine to the lineup, and pursued a new direction under the name Maroon 5.